For additional information about Pets, accompanying documents, research, order of purchase, delivery contact us in a convenient way for you. You can leave your e-mail or contact us on social networks. Leave your contact information and we will contact you. 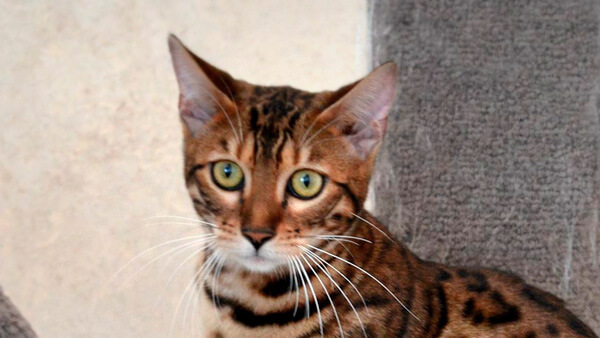 Crossing Asian leopard cats with domestic allowed to improve the initially wild nature of Bengal cats. Cats are generally characterized by independence, even if they grow up next to a person with kitten age. However, cats that have grown up in a house where there are always people feel more comfortable with people and are easier to bond with. Bengal cats are not an exception: some are attached to one person and are indifferent to all the others, while others, on the contrary, give their affection to the whole family. If you are going to share your house with a cat, then you will have to deal with the cat's fur on your clothes and in the house to some extent. However, molting for different breeds of cats manifests itself in varying degrees. 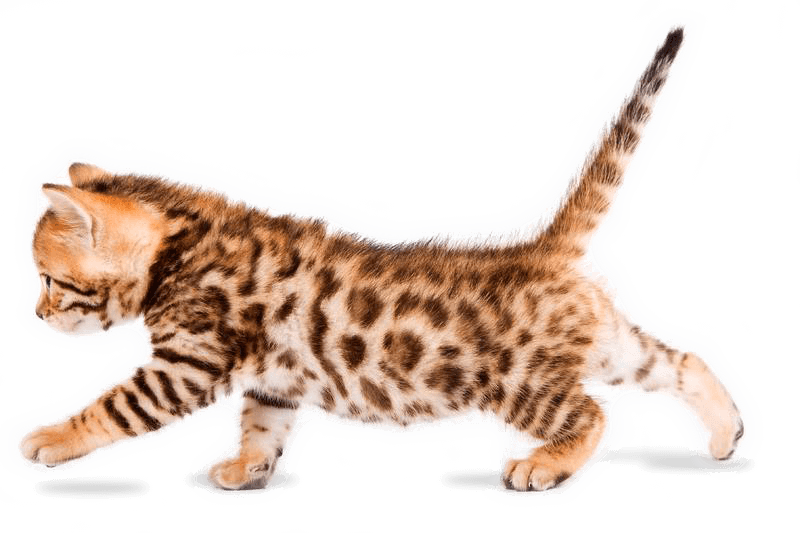 Bengal cats in this regard will not give you a lot of trouble. Providing healthy food and comfortable conditions for the pet's existence, You can significantly reduce the undesirable effect of molting. Due to poor breeding practices, some breeds are prone to certain genetic health problems. This does not mean that every cat of this breed will develop these diseases, it only suggests that they are in the high risk zone. 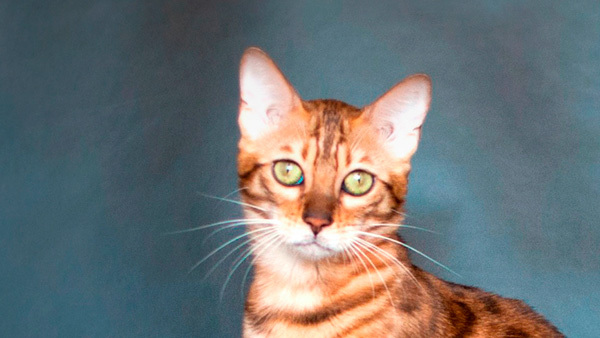 In Bengal cats, like many other breeds, there is a predisposition to the breed characteristic genetic diseases. For all producers in our cattery we pass genetic tests for such specific diseases. Bengal cats are tireless hunters by nature, they are ready to growl and run away from their relatives with a new toy in their teeth, especially if it smells of live prey.. Representatives of this breed are very playful and energetic - they will be only happy if you play with them or take their new toy.. Some breeds show their vocal qualities more often than others. 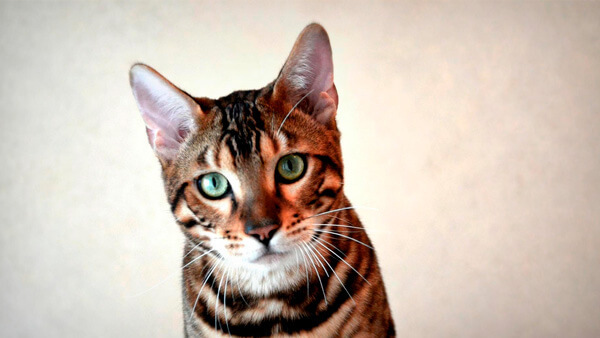 Bengal cats are willing to make contact with people because of their curiosity and energy, so if you closed your Bengal in another room, he will surely insist you to say that one he is bored. When choosing a breed, think about how cats make sounds and how often. If a constant conversation drives you crazy, consider the option with a cat less demanding to communicate. Tolerance of children is sufficient to cope with a heavy hand and strong arms, indifferent to the run kids - those traits that define a cat as friendly towards children. Such ratings are a generalization, and they are not a guarantee of appropriate behavior in a particular breed or a single cat. Cats of any breed, including Bengal, can be friendly with children, based on their life experience and personality. Some breeds of cats need to be regularly combed to keep them clean and healthy, others - on the contrary, almost do not require care. Care Bengal cat does not require much effort from the owner. Perhaps the only thing that will require daily attention - cleaning the tray. Bengal cats are very clean and intelligent animals-they often "tell" You that the filler in the tray is not fresh enough. And of course, Your pet should always have enough clean water and food. You could just say that Bengal cats are no problem to learn to go to the tray or sharpen the claws in the designated areas, which is enough in most cases to say - Oh, what a smart cat... But in the case of Bengal breed be prepared, for example, that Your pet will open the door to another room, jumping on the door handle..